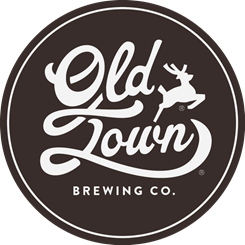 Portland, Ore. Sept. 26, 2015 — Old Town Brewing ® (OTB®), claimed a gold medal at the 2015 Great American Beer Festival (GABF) competition. Presented by the Brewers Association, GABF is the largest national beer competition that recognizes the most outstanding beers produced in the United States. The top three winners in the competition’s 90 beer-style categories were announced September 26 at the Great American Beer Festival awards ceremony held at the Colorado Convention Center in Denver, Colorado. OTB was recognized in the English-Style India Pale Ale category for its Shanghai’d IPA. A nod to Old Town’s most storied history, this is a medium-bodied IPA with grapefruit, resinous and piney hop aroma and flavors balanced by a touch of malt sweetness. OTB is a 7-barrel brewpub located in Portland, Ore. whose high-quality, craft beer is inspired by Pacific Northwest’s unique ingredients, spirit and culture. A reflection of its surroundings, OTB creates a fundamentally Portland beer drinking experience for its consumers. The brewery began selling its award winning beers in bottles across Oregon in 2015, making its exceptional brews available to even more of Oregon’s craft beer enthusiasts. The 2015 GABF competition winners were selected by an international panel of 222 expert judges from the record number of over 6,700 entries, plus 89 Pro-Am entries, received from 1,309 U.S. breweries. For more GABF competition information, including the 2015 winners list and photos, visit GreatAmericanBeerFestival.com.